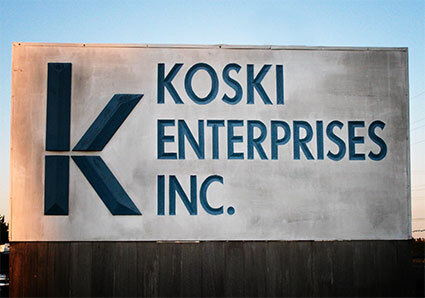 About Us | Koski Enterprises, Inc.
Koski Enterprises, Inc. was established in 1948. We are located on the beautiful Eastern Shore in Hurlock, Maryland. With over 1 million square feet of warehouse space, we can accommodate most everyone’s needs; large or small, long term or short term we can work with you to make whatever arrangements necessary to suit your needs. Among our various warehouse storage spaces, we have a Rail Spur site located in Federalsburg, MD. In 1983, Koski Trucking, Inc. was established to compliment the warehouse business. Today, we serve 48 states with dry vans. With over 200 trailers, in-house trailer and truck repair shops, we are able to provide professional, competitive trucking services.